Home » Blog » Reclaimed materials to the rescue! Reclaimed materials to the rescue! We’re kicking off the new year with a fun update from one of our 2018 Community Building Blocks (CBB) partners. The local student service group Roots Home & Abroad (Roots) is based at the University of Maryland’s School of Architecture, Planning, and Preservation. They came to us last year seeking materials for a project that embodies their mission to educate and empower communities, both locally and overseas, to create a better quality of life through sustainable design and building practices. 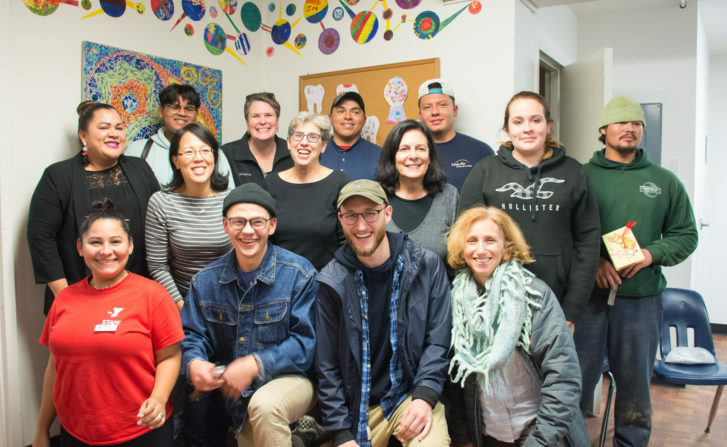 In their application to our Community Building Blocks (CBB) program, Roots explained they were working on a project at the Carroll Avenue/Quebec Terrace (CAQT) Community Center in Silver Spring, Maryland. Kids play on the vibrant bench installation that is a feature of the LightScape Rain Garden situated in front of a community center. The CAQT, Arts on the Block, and Professor Ronit Eisenbach from the University of Maryland have worked for together for several years to design a LightScape Garden. It will be an educational and community space for CAQT residents, serve as a gathering space for the Community Center, and support after-school programs operated by the YMCA. Unfortunately, as construction of the LightScape rain garden was wrapping up, it became clear that the feature element, known as LightScape Benches, would not be done for another 3-5 months. But Nic Przybocki, Vice President of Roots, realized that materials from the Forklift could provide a temporary solution! 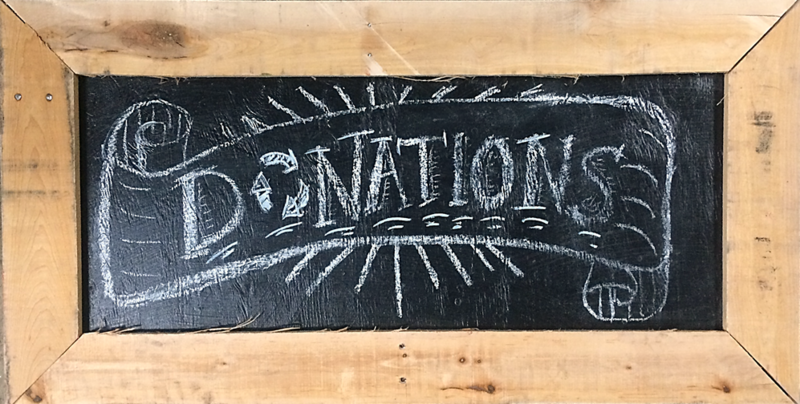 Roots applied for a CBB grant, and used it to pick up free lumber, wooden pallets, and other salvaged materials. After the benches were built, kids in the CAQT neighborhood painted them with cheerful colors. After carefully painting the benches, local children relax and enjoy the new space. To read the article mentioned above, please see LightScape Garden: Increasing Public Safety through Lighting and Design. 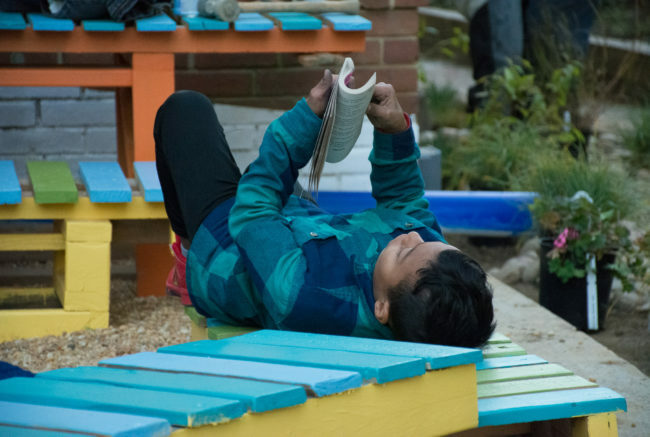 Though the benches that Roots built were temporary, they were influential because they brought the neighborhood together, and gave the participating children a glimpse of what they were creating – a community space that’s inviting and encourages learning. It’s apparent that the children were engaged during the entire process and, most importantly, that they had fun! 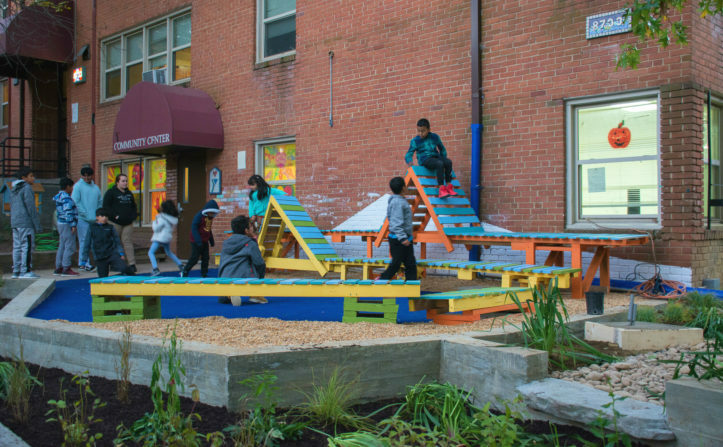 Projects like this show us how significant placemaking is in lifting up communities. Here are some of the partners who worked on the garden project! Every donation you make or dollar you spend at our warehouse helps us lift up local communities through reuse, and provide supplies for projects like this. 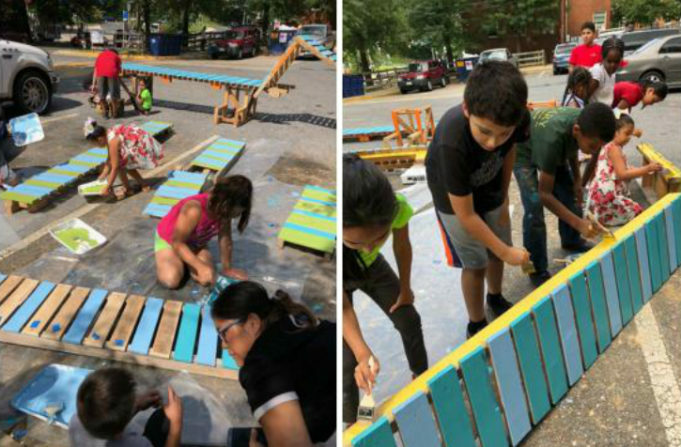 Community Forklift aims to turn the construction waste stream into a resource stream for communities in the DC region – by diverting landfill waste, preserving historical materials, providing low-cost building supplies, and creating green jobs.